Welcome to month SEVEN of adult braces! If we’re counting (which I totally am), I’m only 20 weeks away from having these babies for a full year and that makes the estimated 12-18 month journey seem to be flying by very quickly. Even if I have to wear them for the full 18 months, that’s still just nine months away. People grow humans in nine months. 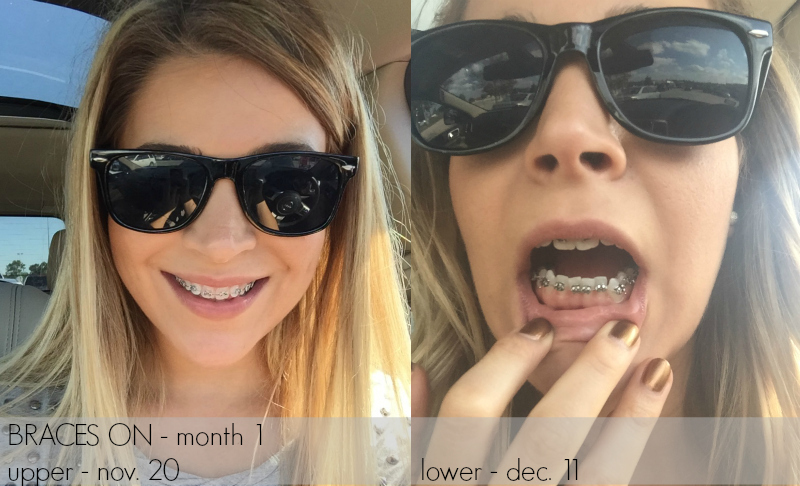 I can wear braces for nine more months if I have to, right!? I didn’t get rubber bands this month – as I had desperately hoped. However, we are making good progress. I was upgraded from rounded wires to rectangular wires on both top and bottom (YAY!). 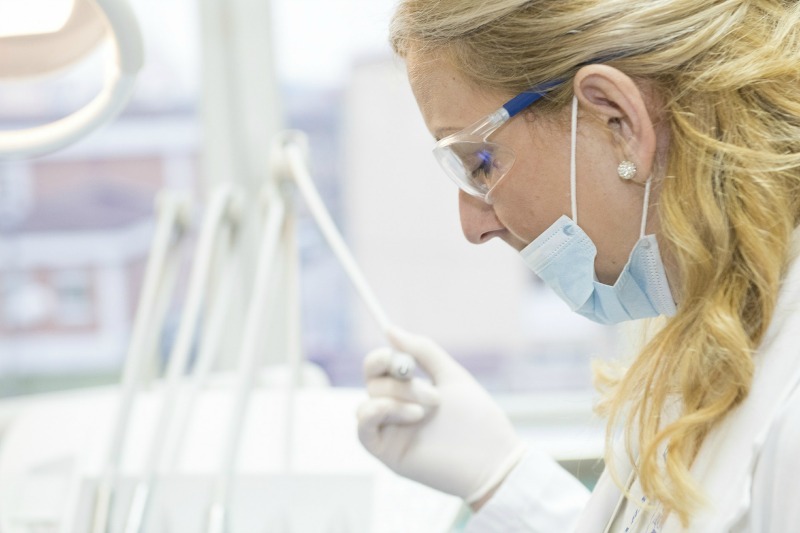 When you first start braces treatment, the wires are more rounded to ease the teeth into alignment. Once the teeth are mostly straight, you may advance to a more rectangular/square shape to really get those teeth perfect. You won’t get a rectangular wire initially (depending on your issues) simply because it would put too much pressure on the bracket and more than likely, pop the bracket off the tooth. I’ve always had bigger (“chiclet”) top teeth, but with my narrow mouth, my smile was more narrow. I’m hoping the rectangular wires will help give me a wider smile, overall. The new wire hasn’t really hurt. In fact, I didn’t even start to feel any discomfort until two weeks into wearing them. It was just slight soreness in my teeth and I can feel that my teeth are slightly flaring out a little more again (which is what helps straighten them out before they get pulled back in for good). I didn’t even need Tylenol, so really… not much pain at all. The BIGGEST news this month is that I’m NOT WEARING SILVER RUBBER BANDS, lol! I was debating testing out ‘color,’ but I was forced to this past month because the office was completely out of my go-to silver rubber bands. I opted for navy blue. I figured navy wasn’t as dark as black and it would also make my teeth appear as white as possible (although my toothpaste and mouthwash I use continue to work miracles – read that post here). I’d definitely get navy blue again, but that’s probably the most daring I’d go. I wish the pretty periwinkle wouldn’t stain because I’d try those, too. Check out last month’s shots here. Check back July 29th for my 8 month update (Friday, instead of Monday… just this one month). I have no official ‘topic’ to cover other than sharing my progress, so if anyone has any ideas/suggestions/questions, please leave them in the comments or shoot me an email at brighterdarling@gmail.com and I’d be happy to start addressing them. Also, special shout out to those who have commented/emailed me and are more advanced in your braces journey. It’s been so nice to hear from you and be inspired!